American. 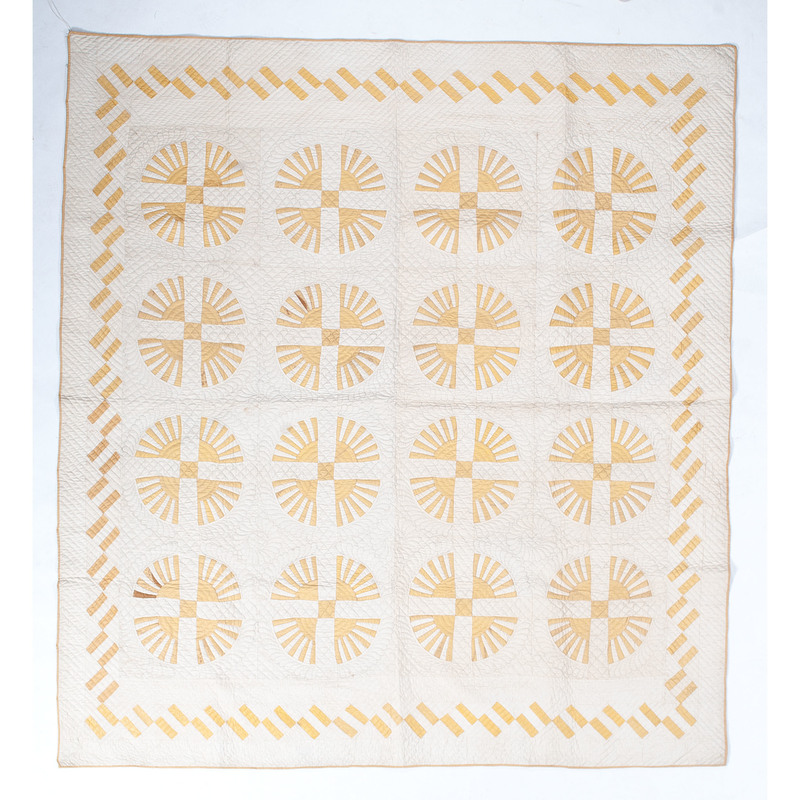 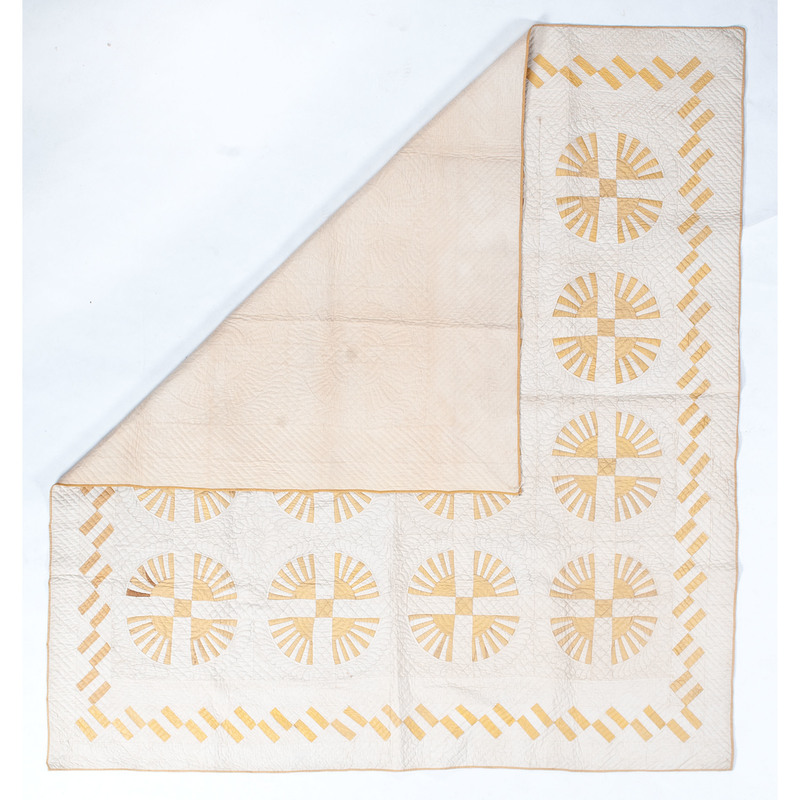 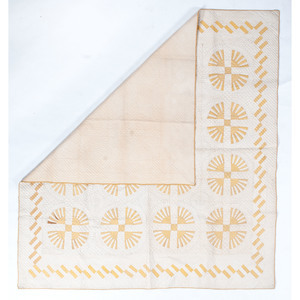 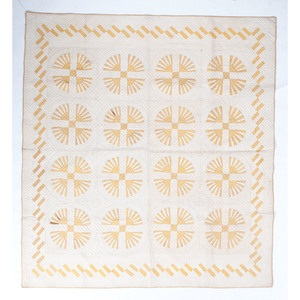 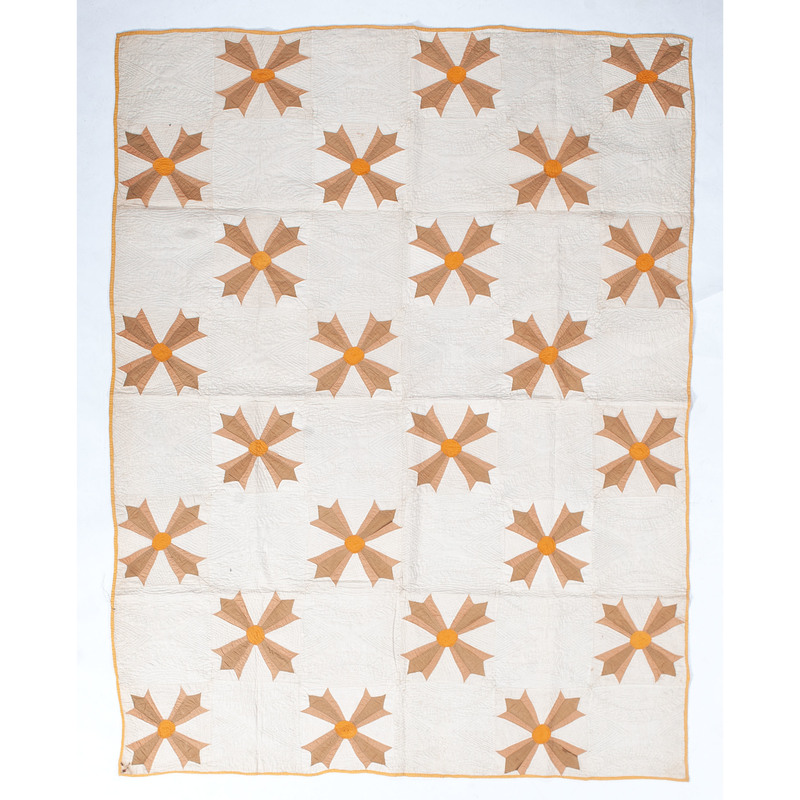 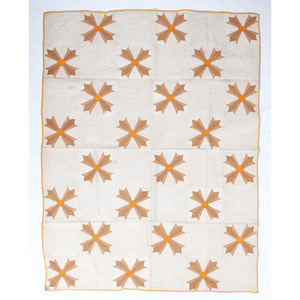 Two appliqué quilts with geometric and floral wreath patterns in yellow and white; larger 87 x 79.5 in. 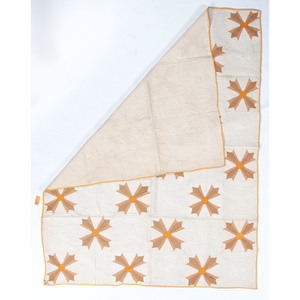 General toning and scattered stains to both quilts.